Is there a need to learn CPR and AED for the workplace? Well, let’s do the math! Approximately, you are spending a quarter of your life at workstation! And statistics say that over 10,000 heart attacks at work occur every year in the United States of America! Is Your Workstation Prepared for Cardiac Emergency? 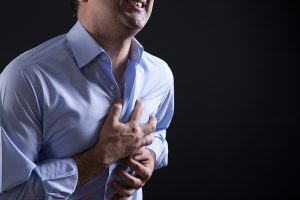 If you or your co-worker or colleagues experience a cardiac emergency in the workplace, will you or they, or anybody come prepared to act instantly? The answer is probably not. Therefore, it’s highly suggested for all employees to get CPR and AED Certification Training Online. Half of us are aware that there’s even an AED (Automatic External Defibrillator) around the building somewhere, but not sure where it is exactly! CPR and AED are the Keys to Survival. When you find any cardiac arrest victims at workstation don’t sweat and just call 911 immediately! During a cardiac emergency, you have just 4-6 minutes in hand to survive the victim. After that, the lack of oxygen starts the process of brain death. The average response time is around 8 minutes. Once again, you should do the math. And if you work in a workplace, you should give immediate attention to AED and CPR certification training as soon as possible! Having employees trained to perform CPR and use the AED is important to providing immediate response swiftly and effectively during a cardiac emergency at the workstation. Receiving online AED and CPR certification training is simple and convenient. You and your colleagues will learn and train in the latest and up-to-date CPR and AED skills to be prepared for a workplace cardiac emergency! • All employees will become aware of safety – which will bring down the number of workplace mishaps. • CPR and AED skills save lives, particularly where there’re injuries and it’s important to take immediate actions. Safety training offers necessary knowledge and confidence to manage emergency situations without confusion and fear. • The CPR and AED certified employees will know how to use the AED and the latest ways to act in an emergency situation. • Learning how to perform CPR and use an AED is the important skills for emergencies anywhere, not just the workstation. • The safety training courses don’t cost much but will go a long way to ensure optimal health and safety for your workplace. 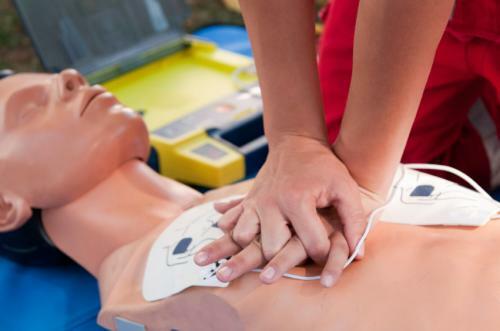 Want to get started your CPR, AED certification training for your workplace safety? It’s time to sign up for AED and CPR Certification Online at CPR Professor and be prepared to save lives at your workstation with speed and confidence! Isn’t it the right time to get your employees to speed with CPR and AED training to ensure your workplace safe and secure for cardiac arrest emergency? Contact CPR Professor right now for useful advice and suggestions on how to do so! Find out more on our CPR and AED like safety training classes by staying connecting with us on Facebook, Twitter, and Google Plus social networks. Know Why You Should Go for First Aid Certification Course? Human beings are at risk of suffering trauma, illnesses, and injuries. You never know when an accident or emergency may occur, causing injury to you or your loved ones. Hence it is required to have some basic first aid knowledge to handle such situations successfully and to prevent things from getting worse without the medical help on time. The First Aid Certification course imparts skills that you can use to help victims of illness or injury at home, office or in public places. It is mostly an easy to follow a course designed to let you learn basic first aid knowledge that would make your community feel safer. 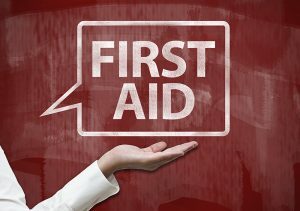 Once you secure First Aid Certification, you can come to the aid of injured or sick people even with limited equipment. The skills earned through First Aid Certification Courses will not only benefit you as a person or an employee, but also extend to your friends, family, associates and even the local community in general. Though accidents and sicknesses are unpleasant to talk about still they are not completely avoidable or preventable. When an accident occurs in the home, workplace or in a public space, being un-aided and unprepared for it can potentially make the situation worse. You should, therefore, think of learning a basic knowledge of First Aid. And it is possible by joining First Aid Certification training course. Why Should You Go for First Aid Certification? • Increased sense of safety around you: The base of first aid certification training is “precaution and prevention”. The skill of first aid adds to the safety and security of people, encourage them to be more responsible and reactive in their surroundings. First aid qualification enables you and your closed ones or even strangers to keep accident free, experiencing a decrease in causalities and complications. • Ability to save lives: If you are trained to give first aid administration, your fast action can save lives in your surroundings. Rushing to help any sick or injured person is not enough as it demands proper training, confidence, and practice to succeed in these situations. In case you have first aid certification, the job won’t be difficult for you anymore. • Confidence to reduce pain: Sometimes injuries can be treated with a very simple method of using an ice pack or a quick rub. The victim can avoid going to the emergency ward with care and attention of someone who is qualified in first aid. If you have first aid certification, your confidence level will be high. And with simple methods, you will be able to reduce the pain effectively. • Makes sick or injured people feel better: The ability to administer first aid to yourself as well others in trauma or during an emergency helps you keep relaxed. It often leads to building a healthier environment around you. Your skill makes people feel better when they suddenly meet an accident or fall sick. • Prevents the situation from getting awful: The first aid certification allows you to learn how to prevent the situation from getting worse. They will be mostly short-term treatments which will minimize the risk of deterioration in the patient’s condition, till proper medical help arrives. You can join the Universal First Aid Certification offered online by CPR Professor, which will make you become a valuable member of the workplace and community. From basic first aid guidelines and skills to universal precautions and injury prevention & protection, everything is covered in our First Aid training materials. We charge only $19.95 to complete your registration in this course. If you are ready to join our First Aid Certification Course, call us now at 1-866-967-9111 or mail us via info@cprprofessor.com! What Refrains Many People From Taking CPR Training Certification? They’re too busy: There’re so many people who wish to help during an accident scene but getting the genuine certification does not look to be an achievable goal for them. Eight to 10-hour work days & active schedules outside of regular work makes it almost unfeasible for anybody to attend a CPR training program and in the end up with a lot lesser qualified persons. That being the scenario, people are simply frightened to be involved in an accident situation prescript that they require training to be efficient. Class Unavailability: As unfortunate as it sounds, finding a reliable & available class can be a great difficulty. You might be living in an inaccessible location, incapable of attending classes, or you might discover that classes are simply inaccessible in your locality. While both of these are legal obstructions, they do produce a serious issue at the accident scene. Misconception about being costly: Online CPR Training is not costly considering the level and quality of training and it’s not costly. It also comes with flexi payment options which allows flexibility to opt for the CPR Classes. To sort out these above-mentioned issues it is essential to ensure that the classes are accessible to everybody, particularly those who reside in isolated regions. That being said, online CPR classes can assist quite a lot. Most importantly, with CPR classes online, everybody will be able to pay attention towards the instructions without any disturbance that usually happens in a classroom setting. Furthermore, everybody will be able to study at their own convenience and pace. And this certainly offers more time for doubt clearance, appropriate instruction, and eventually a better comprehending of the prospectus. Take a glance at our available Online CPR Training Options at CPR Professor and rest assured that you will find a training program that best meets your timetable or convenience. Online CPR Training isn’t as hard as it sounds and it will certainly make you eligible to save some precious life in future. How to Recognize the Best CPR & First Aid Certification Provider? The knowledge of CPR (cardiopulmonary resuscitation) and AED (automated external defibrillator) can add to survival rate of a cardiac arrest patient. Performing these skills in emergency conditions will certainly give every bystander the power to confidently rescue the cardiac arrest sufferer even after getting collapsed on the spot. 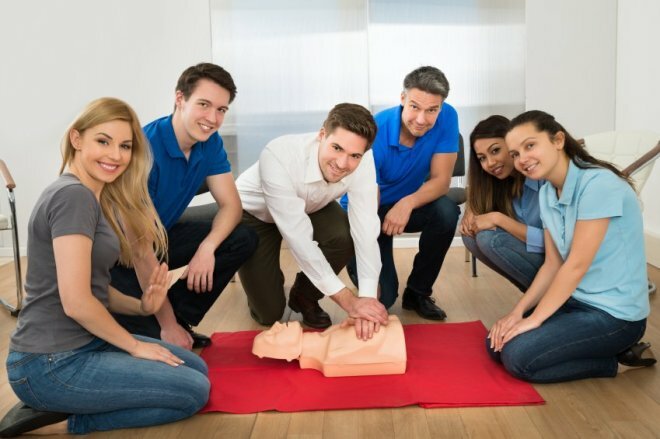 There are many First Aid Certification courses offered online including CPR & AED training to impart life saving skills to people and make them react fast whenever required. 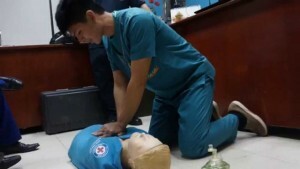 The success in acquiring these essential life-saving skills depends on selection of the best courses and skipping the various online courses that are frauds or don’t include the right techniques and training materials to let you walk away with a professional CPR certification and make yourself prepared for emergency situations. 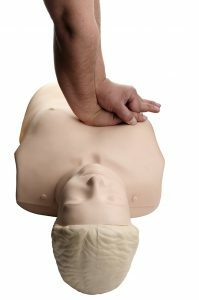 This write up will give you necessary clues on how to weigh CPR and First Aid Certification providers and which factors you should consider before joining for their training courses. In this way, you can pick up the course that best suits your certification needs. So, follow the details we are sharing with you regarding First Aid Certification including CPR/AED training classes and use the recommended tips to find the best CPR certification program for your learning. What is CPR & AED Certification? CPR certification is about learning a life saving technique that is used to manually induce heart pumping and aid in circulation of blood carrying oxygen to the body organs which has stopped due to a cardiac arrest. When there is no heart beat, the pumping of blood to the major organs in body, including the liver, kidneys and brain stops automatically. These organs get starved of oxygen and give rise to risk of severe damage to brain cells, causing ultimate death of victim within 10 minutes of attack. The faster a bystander reacts to the situation and performs CPR correctly; the more likely is the survival of the victim. CPR can’t alone initiate the beat of heart which stops immediately after a cardiac arrest. It is the combined use of AED device and CPR that would help the heart start beat and pump blood again. AED certification will teach you about different steps of using the device on the victim and make him breath normal. The most important thing is the course duration is not stretched. The average participant takes 1-3 hours to complete a course which is easy to attend and learn. The resolution to become CPR & First Aid qualified is a noble desire. Not only it will add to your first aid knowledge but also makes you ready to save a life even when it looks impossible. There are lots of options for CPR/First Aid certification courses for which you may face difficulty in getting a course that perfectly suits you and ensures you optimal value. You need to consider a few important things that would lead your way to the best CPR or First Aid course. Follow the list which includes different criteria to be considered in the selection of CPR/AED/First Aid certification programs. If the CPR/AED certification material is of high quality and designed with precise details by experienced medical professionals or instructors and made compliant to the AHA standards, then it will be reliable and useful for saving the life of a victim. Not all CPR/AED certification programs are accredited, and very few of them are internationally acknowledged. For all of you who need CPR certification for professional qualification, joining officially accredited programs is necessary. There are First Aid Certification courses which are offered in combination with CPR and AED training. A quality certification provider will allow you to join courses that include two or more topics of your interest, so that you can carry on your training without the need to separately register for each course. You must be able to continue your CPR/First Aid training at your own pace. Convenience of accessing a class at anywhere at your spare time will bring down hassle in your life. 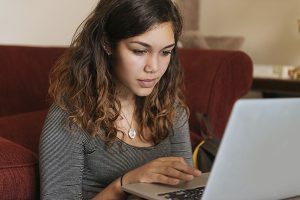 Online First Aid certification courses are perfect for those who don’t want to abide by time limitations or need more flexibility than conventional class room training. A quality course provider will ensure AHA standard compliant online CPR/AED/First Aid certification without the risk of overpayment. As a result you will get the best value training for saving life of people in emergency situations. No matter for personal or professional reasons, there is always a requirement for CPR/ First Aid certification which will enable you to save cardiac sufferers from death. Don’t postpone your training any more – the perfect opportunity to add to your personal skill and ability to save lives is now available with First Aid Certification course of CPR Professor. We offer certification courses designed to the latest training standards that are all nationally recognized. Our CPR & First Aid Certification courses can be accomplished in just one or multiple sittings. You can consider registering for our CPR Certification and continue it the way you want. How Do Online CPR Certification Help Sudden Cardiac Arrest Victims? Sudden cardiac arrest (SCA) is a state in which the heart of a victim suddenly and unexpectedly stops beating. As a result of which, blood stops flowing to the brain and other essential organs. In addition to, if the heartbeat is not restored immediately, death follows within a few minutes. Sudden cardiac arrest accounts for more than 382,000 deaths in the United States every year. Therefore, CPR and AED use through a bystander are necessary to survival of SCA victims. Thus, getting online CPR certification training is crucial, not only for medical professionals, but for everyone. Treating victims with sudden cardiac arrest is necessary. In this condition, the victim’s heart twitches in an irregular way, stopping flow of blood and oxygen throughout the body. Please keep in mind that, cardiac arrest is fatal unless medical intervention is provided immediately. However, each and every minute that passes between symptoms and intervention increases the chances of victim’s death by up to 10%. 1. Immediate identification and call 911. 2. Perform CPR with much focus on chest compression and continue the professional until medics arrive. 3. Quick defibrillation with AED to restore normal heartbeat within a few minutes of the symptoms. 4. Advanced life support administered by professionally trained medics. 5. Post cardiac arrest care administered in a hospital setting. Cardiac arrest is quite common and it can happen to anyone at any point of time. 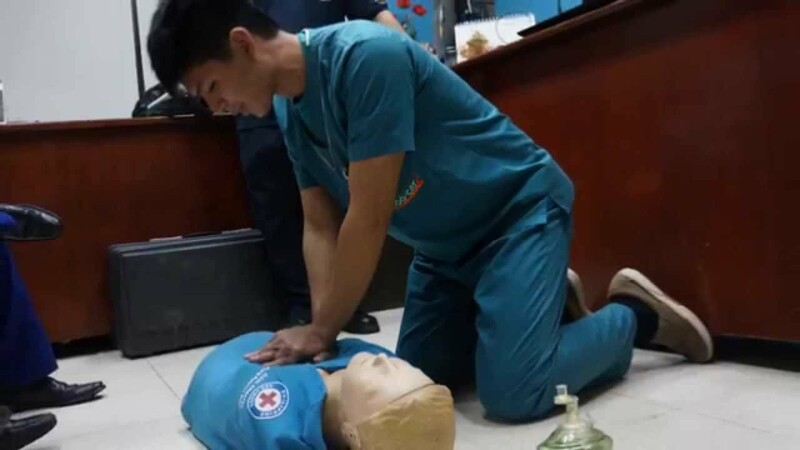 Moreover, taking CPR certification allows you use Cardiopulmonary Resuscitation including chest compression that helps blood move from the heart to the brain and internal organs and also mouth-to-mouth ventilation to provide the victim with oxygen. If CPR is provided immediately and effectively by a bystander during the sudden cardiac arrest can double or triple the victim’s chance of survival. For this reason, CPR online certification course is extremely essential that can save the life of your near and dear ones. CPR Professor is a premier source for CPR certification online in the United States. Choosing online CPR certification provided by CPR Professor helps participants the knowledge they will need to identify an emergency situation and the ultimate skills needed to respond with confidence. Today, gaining a CPR and First aid certification is considered as a highly valued safety training course or skill that enables someone to save a valuable life. The certification for CPR and First aid is a more comprehensive certification course that proves to be effective for the individuals who want to learn a life-saving skill and add a feather in the cap that will enhance their worth in both personal and professional level. What do you understand by the term CPR? CPR is the short term for Cardio Pulmonary Resuscitation, which is a technique that is used to save a person’s life in case of a sudden cardiac arrest. This is an emergency technique, which helps in keeping the air and blood circulating in a person’s body (after his or her heart has stopped). Why is CPR training important? In America, sudden cardiac arrest is considered as one of the leading causes of death. The death rate caused due to a sudden cardiac arrest can be controlled by applying the CPR technique at the right time on the victim. This will help in restoring the blood flow and breathing (of the victim) until the medical help arrives. With a formal training, you will be able to identify the emergency situation and perform CPR on the victim in an effective way to save a valuable life. What is First Aid Training? First aid is a safety training, which can be performed (at the initial stage) on a victim having a serious injury to save his/her’s life. A first aid safety training course will help you learn the basic first aid and treat common injuries, minor to severe cuts or scrapes, broken bones, and other emergencies. Normally, a first aid is to stabilize an injury until the victim is attended by the professional medical personnel. You can opt for an AED and first aid certification to efficiently use the AED( Automated External Defibrillator) and learn the right first aid techniques. Normally, after a CPR certified person or AED-first aid certified person can use the Automated External Defibrillator in a right way on the victim that will help in regaining the natural rhythm of the heartbeat. Who needs a CPR-First Aid certification? Along with the medical professionals, every individual can look forward to earning a CPR-First aid certification to be prepared always for handling an emergency situation at your home, public place, workplace or street. A certification of CPR and First Aid will help you gain the right skills and knowledge about the latest health standards to deliver a life-saving act. In last week London terrorist attack near U.K. parliament on Westminster Bridge, you can notice UK police performing CPR to save people badly hurt by car and Knife attack. You can earn a valuable CPR and First aid certification by enrolling into an online course provided by CPR Professor. Having over 50 years of experience in health and safety training industry of America, CPR Professor offers unique and innovative online training and blended programs in CPR, AED and First Aid that are nationally recognized. For more updates & notification, stay social with us on: Facebook, Twitter and Google+! Why do I need a CPR Certification? Have you ever heard about a CPR training course? Do you know the importance of getting CPR certified? 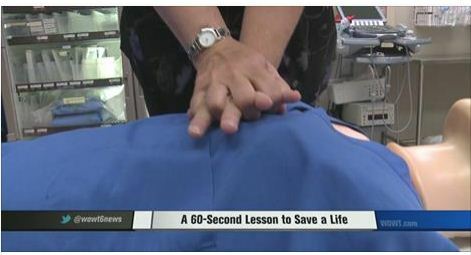 It is found that only between 3-5 percent of the entire population in the US is annually trained with a professional CPR technique. This helps the individuals with right CPR skills to respond promptly in a sudden cardiac arrest (SCA) emergency situation. CPR saves lives, for which getting certified in CPR, is highly recommended for every individual. Are you still thinking, why should you take your time out attend the CPR training classes? Then please go through the below reasons that specifies the importance of spending a few hours learning the CPR skills and get certified! By getting trained in professional CPR skills, you will be able to deliver a right type of lifesaving technique on the patient that will increase the patient’s chance of survival. The biggest benefits of getting CPR certified gives you the ability to save lives, in case when sudden cardiac arrest situation arises. According to the American Heart Association (AHA), a sudden cardiac arrest is considered to be the leading cause of deaths in adults. An individual’s ability to deliver CPR to the patients (who in a sudden cardiac arrest situation) can make the difference between life and death. Whether it is your workplace, school, home or street, you may never know when someone may need the lifesaving CPR skills. By properly trained with right CPR skills, you can be always prepared to assist in an emergency situation. With proper CPR skills, you will be always capable to deliver a prompt life saving assistance. Being certified in CPR will give you the benefit of boosting your career prospects. There are many jobs like healthcare, construction, education and more, which requires applicants and employees to be CPR certified. These days, more and more employers are discovering the benefits of hiring candidates having an additional advantage of CPR training. In this present scenario, it is found that many young people are seeking CPR training to be prepared for summer jobs like lifeguard, camp counseling and babysitting. Being trained with right CPR skills will boost your confidence level. When with your family or friends, you can enjoy a peace of mind by knowing that they are safe. 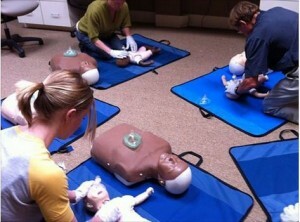 With a CPR training, you will get the ability to save life and to become a responsible parent. A formal CPR training will give you the power to help someone who is in an emergency situation by acting quickly and efficiently. You can get a formal and authorized CPR certification online from CPR Professor, which will prove to be a convenient way to learn a life saving skill. We offer world class safety certification courses and aims to provide students a low-stress educational environment. Contact us today at 1-866-967-9111 to get more information about CPR training course or CPR certification online program! Stay social with us on Facebook, Twitter and Google+!